Charles Mascari is captivating a distinctive sound on his Chillin album with his guitar perfectly in combination of up beat original compositions, contemporary jazz tunes with memorable melodies, grooves, and guitar playing that speaks for itself. 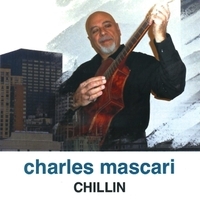 Chillin contains Charles Mascari contemporary jazz guitar playing which sets the mood with his unique arrangements and original compositions, excellent feel and smooth melodies. As guitarist, composer, producer and arranger, Charles has really set the mood.